Marti, 1 aprilie 2014, sunteti invitati de la ora 21.00 in Club Control la concertul Ufomammut (IT). Opening act: Roadkillsoda. Afterparty w. Brutus! - 50% Bar Discount after 22:00 h.
Fb event. Intrare 25 lei. Marti, Sala Berlin va fi invadata de stoner rock & sludge, odata cu performanceul trupei italiene Ufomammut. 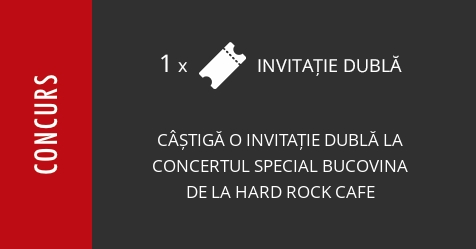 Evenimentul este completat de concertul trupei autohtone Roadkillsoda. Ufomammut is a power trio formed in 1999 in Italy by Poia, Urlo and Vita, worldwide recognized as the creator of a unique brand of psychedelic sludge. RoadkillSoda is the reflection of the 70s American hawk, of the dusty Dodge, ragged T-shirts, tattoos, beards, booze, naked chicks and good vibes. SapteSeri, Zile si Nopti, Jurnalul National, BeWhere, Vice, Decat o Revista, Sunete, Tataia, Arte si Meserii, Ziarul Studentesc Carevasazica, IQads, Feeder, Veioza Arte, Metropotam.ro, InfoMusic.ro, Musicnights.ro, Urban.ro, Bestmusic.ro, Metalhead.ro, Metalfan.ro, No.3.ro, b365.ro, 9am.ro, Modernism.ro, Tonight.eu, Hipmag.ro, Anyplace.ro, tilllate.com, iConcert.ro, Nights.ro, Beatfactor.ro, Gingergroup.ro, Orasulm.eu, hailaconcert.ro, Rockstage.ro, MaximumRock, alternativ.ro, muzicabuna.ro, hyperliteratura.ro, studentie.ro, woobicha.ro, Mixtopia.ro, sofresh.ro, sub25.ro, subAsfalt.ro, cooperativaurbana.ro, 121.ro, afterhours.ro, vinsieu.ro, rockout.ro, bestial.ro, letsrock.ro, getlokal.ro.